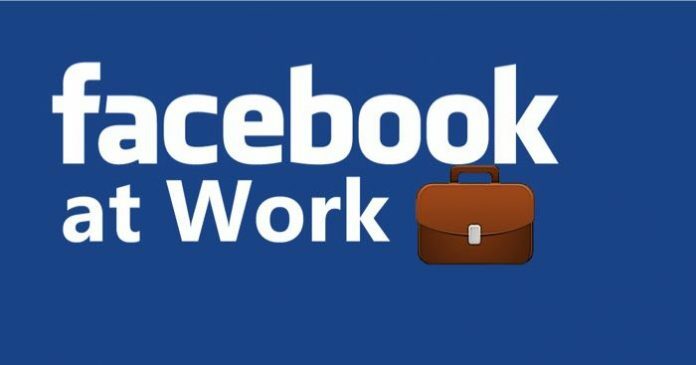 Facebook, the social giant, is about to launch the rumored enterprise collaboration tool ‘Facebook at Work’ officially next month. Facebook charges on a company based on the count of the employees who uses the services monthly- Facebook executive. Earlier, Facebook announced to offer Facebook at Work for free to the companies, but there’s a change in that. Facebook at Work offers it at a less price. Well, the accurate price is not yet announced. The price is estimated from $1 to $5 reasonably. This is separate from your personal Facebook account but works in a similar way. It is easy to get started with Facebook at Work by just creating an account like as regular Facebook account. The user can stay updated to all the co-workers at any time apart from where ever they are. Features like with News feeds, Messages, Notifications, Work Chat, Search which are most relevant to you. Facebook at Work also offers groups for audio and video calling by providing Messenger. Also offers Live video feature, Events, and social network’s profile. The launch of Facebook at Work would give a tough competition to Microsoft’s Yammer, Slack, Salesforce Chatter. As the expected price for Facebook at Work is less than $5, this might grab all the new and existing companies to shift to this. This saves Time and cost with keeping all level of employees to communicate socially as a group. There are some existing customers for Facebook at Work services like RBS (Royal Bank of Scotland), Telenor Group, Yes Bank, Godrej Industries, etc.. The official launch of Facebook at Work next month with an effective price would change all the corporate enterprise socializes with Facebook at Work.